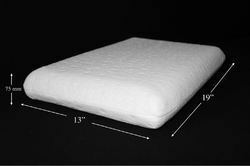 Our product range includes a wide range of small pillow and travel pillow. Too many other pillows out there have holes or just don’t offer the full spectrum support.Your child deserves every chance to grow unhindered, and this is a step towards their proper development that you can be confident in. SHOULDER ROOM: Many of those other pillows just don’t allow for the comfortable positioning of your baby’s shoulders. Without that room, it can cause strain on your little one’s neck. Our special design makes those worries a thing of the past, offering ample room to make sure that your child sleeps, lays, and travels soundly. Made of MEMORY Foam, adapts perfectly to the shape of the body, provides good support for the cervical vertebrae and the head and prevents head, neck and shoulder pain resulting from sleeping in a seated position. It relieves muscles and allows the cervical vertebrae to remain in a position close to the anatomic position ideal for travel. 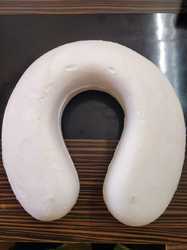 Soft and extremely comfortable, moulds itself to the shape of your body and regains its shape once the pressure is relieved.